Fabulous light & awesome comp! 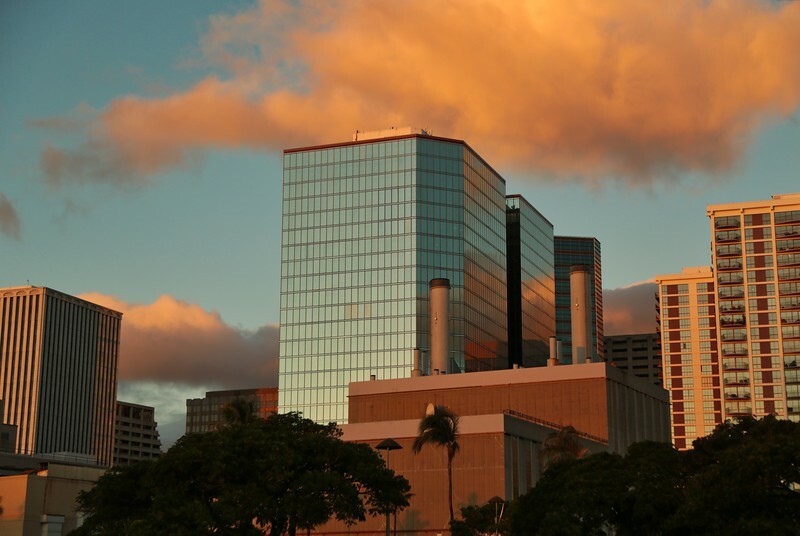 The sunset clouds, reflected in the glass buildings, are wonderful. You did a wonderful job capturing this photo. Such lovely skies and reflections!